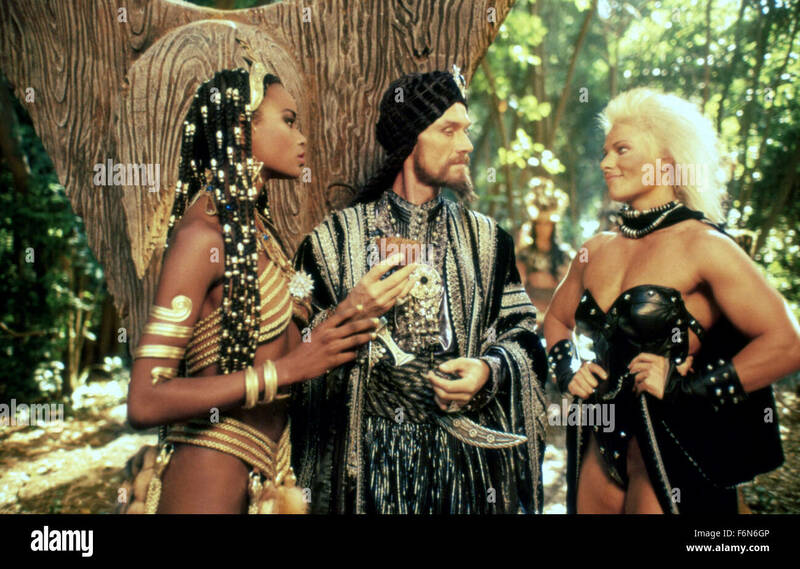 Sinbad of the Seven Seas 1989 deleted scenes? Teagan Clive and the Captain look to be in this deleted scene? This German clip seems to be in a different widescreen version than the U.S.A dvd i think? I first saw this movie when I was 8 or 9 years old. I was very impressed, to say the least. Wow, where did that come from? Poor Teagan ... we've seen evidence she was in a swordfight in this movie and armwrestling a big beefy guy yet all that she does in the finished article is make wisecracks and applaud. 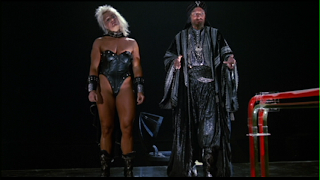 She was lined up for Grace Jones' role in Conan the Destroyer too. I remember watching this movie and thought Teagan was so wasted. They introduce her as a witch and then later on, she says something about having no need for magic and relying on her swordsmanship to get stuff done. Then at the end of the movie, she changes sides for no reason. Shame we'll never see the deleted footage that might fill in the gaps. There looks to be another Deleted scene with Teagan and Alessandra Martines http://www.ebay.it/itm/ALESSANDRA-MARTINES-1986-1989-ritagli-clippings-Collezione-di-articoli-depoca-/172583666091?hash=item282ec9c1ab:g:BEkAAOSwXYtYztlG https://picclick.it/ALESSANDRA-MARTINES-1986-1989-ritagli-clippings-Collezione-di-articoli-depoca-172583666091.html#&gid=1&pid=1 The Princess looks to have A Knife in her hand. 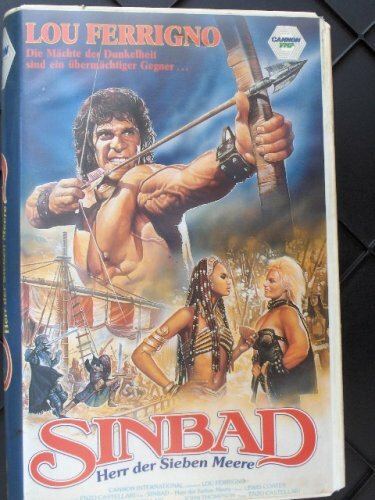 This Trailer looks to have A Deleted Scene of Sinbad fighting Guards in A cave. At the 8 second mark. 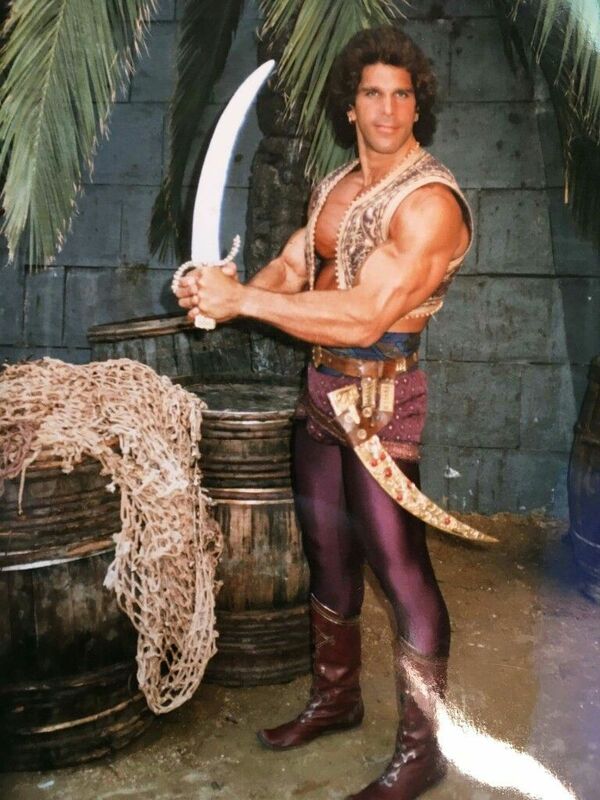 Subject: Re: Sinbad of the Seven Seas 1989 deleted scenes?